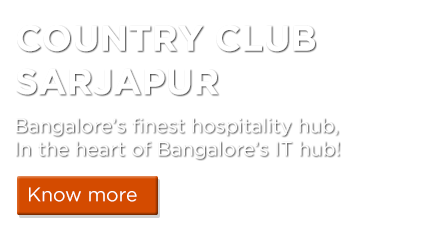 Country Club Sarjapur is located in the leading information technology hub of Bangalore. It is loaded with several world class hospitality amenities and is your ideal leisure destination in the city. Additionally, it also offers splendid banquets and corporate get-together facilities. Country Club Sarjapur has always strived to bring the best of amenities and activities for its members. The staff here is well-trained and equipped to handle all responsibilities to ensure a complete experience for visitors. In accordance with its promises, Country Club Sarjapur organizes timely events for its members. Last week, a squash competition was planned for Country Club members. Participants, along with their families, made their presence felt at the event. The event kick started with a faceoff between two participants. The families of participants got behind them with cheering. Several rounds were played till it got down to the two finalists. The final was a nail biting thriller among the two participants. The winner of squash competition was received with long applause by the members. After the competition, food and beverages were served by the staff. Overall, the squash competition was an instant hit as the members left the event still craving for more.